The Senate Housing Stability and Affordability Committee heard public testimony on two of Zeiger’s bills, on Wednesday. 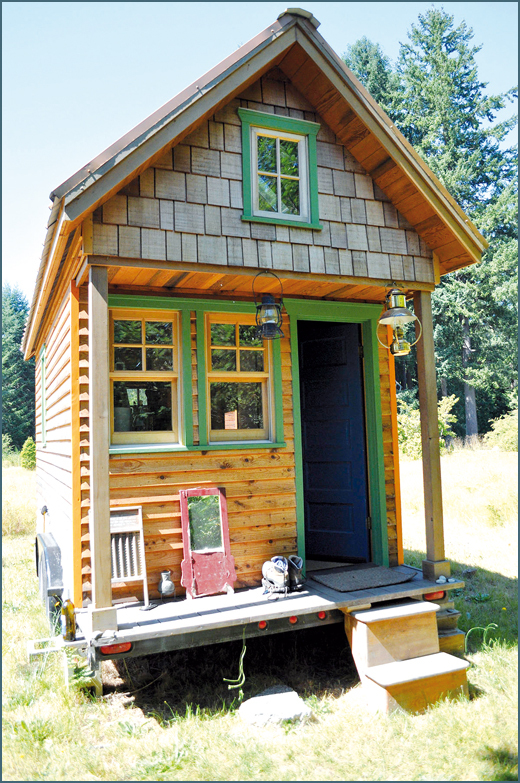 SB 5382 deals with tiny houses as detached accessory units. SB 5383 outlines building requirements for a tiny home, in effect creating a legal framework for tiny homes, which can be specified at the local level. The Senate Local Government Committee heard public testimony Tuesday on SB 5384 that would create a process to authorize the creation of tiny house communities outside of urban growth areas or areas of intense rural development when there is a shortage of affordable housing. “The builders believe that this is a huge solution that has not been looked at,” said McKellips. Tiny home zoning requirements can be difficult to navigate, said Soap Lake Mayor, Raymond Gravelle, who experienced that firsthand in changing zoning requirements to allow for cottage homes. Cottage homes are slightly larger than the average tiny home, ranging from 400 to 1,000 square feet, but still have to deal with rural density zoning requirements. Gravelle, a realtor, hopes to pursue a tiny home development himself. The median home value in Grant County is $250,000 and a tiny home costs around $130,000 to $160,000 which is a new price point, he said. “Getting community buy-in is important because it does allow for higher density housing. Some people object to that in rural communities,” said Gravelle. Things like access to broadband and amenities like grocery stores and restaurants are also factors that developers have to consider, said Gravelle. The target market for homes like this varies based on location. In Soap Lake, it is people looking to buy a second home, downsize or retire, millennials who work remotely and want a low cost of living or investment properties to be used as rentals or airBNBs, said Gravelle. Ethan Goodman, executive director at Tech for Housing, testified Wednesday in support of the bills.